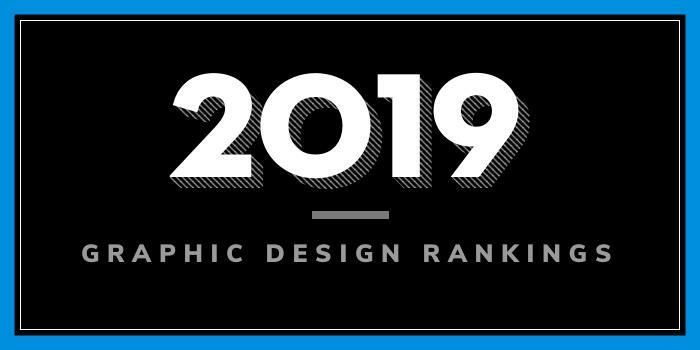 Our 2019 rankings of the top 5 graphic design school programs in Iowa. For an explanation of the ranking criteria, click here. Founded in 1858, Iowa State University serves nearly 35,000 students enrolled in hundreds of undergraduate majors, minors, certificates and graduate programs through eight colleges, two schools, and around 150 academic departments. 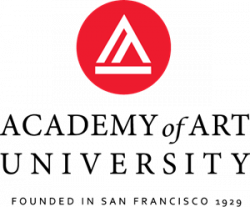 The schools College of Design offers a Graphic Design Program that leads to a 123.5 credit undergraduate BFA including the 30-credit core Design Program. The College also offers a 34 graduate credit program leading to an MA in Art and Design with a Specialization in Environmental Graphic Design (the first and only program of its kind in the United States) and a 30 graduate credit program leading to an MA with a Specialization in Graphic Design. A 64 credit hour MFA in Graphic Design is also available. Founded in 1876, University of Northern Iowa (UNI) serves around 11,900 students enrolled in more than 90 undergraduate majors and more than 50 graduate programs through five colleges and nearly 40 academic departments. The UNI Department of Art is part of the College of Humanities, Arts and Sciences (CHAS). Here, students can earn a BA in Graphic Design. The program, which consists of 120 credit hours, allows students to begin taking courses in the major during the very first semester. Per the school, “this exciting set of classes introduces fundamental skills in visualization, analysis and production” that will prepare students for more specialized study in upper-level courses. Other program highlights include the Friday Symposium, which provides information on career options and guest speakers working in all fields associated with the visual arts and design, and annually the school hosts 30 visiting professionals in all areas of art and design, offering lectures, workshops and critiques. Students get to work closely with these guests and start building their professional network. Other components of the program include resume and portfolio preparation coursework, opportunities for internships and study abroad, and an Annual Portfolio Night that provides many opportunities for students to connect with professional organizations in the arts and education. In 2018, 96% of UNI graduates found employment or continued their education. Common career areas include Freelance Designer, Photographer, Social Media Manager, Team Leader, and Web Designer. Founded in 1847, the University of Iowa serves approximately 33,564 students from 114 countries and all 50 states, enrolled in majors, minors, and certificates in more than 200 areas of study. Programs are provided through 13 colleges and academic units, including the College of Liberal Arts and Sciences, which offers 68 majors to 17,900 students. The College houses the School of Art and Art History (est. 1936), which has several programs for aspiring graphic designers. Options include a BFA with a Major in Media, Social Practice & Design (MSPD), which includes Graphic Design, Intermedia and Photography, and MA and MFA degrees in MSPD with Graphic Design. The BFA program requires a minimum of 120 semester hours, including 62 semester hours in the major. Per the school, “the program provides a foundation in art history as well as an understanding of the formal traditions and contemporary practices in studio art. BFA students will complete the requirements of the BA Art degree, as well as completing additional art hours and studio art coursework requirements.” BFA students will select a studio art discipline from within one of the four areas. Among them is MSPD with Graphic Design. The graduate programs focus on the “development of individualized, advanced design thinking and design education processes.” Program highlights include graduate workshops, shared Graduate Graphic Design Studio space, and teaching and research assistantships. Founded in 1852, University of Dubuque serves 1,600 undergraduate students from 35 states and 20 countries, along with several hundred graduate students. The school offers more than 50 degree programs through sixteen departments. Aspiring graphic designers have two options—the BS in Digital Art and Design offered through the Digital Art and Design (DART) Department and the freestanding BS in Computer Graphics and Interactive Media (CGIM). Per the school, students in the BS in DART Program "will learn visual and technical skills, such as design principles, digital art creation, animation, and web development, to create interactive projects in the digital environment. These interactive digital arts and technology courses are combined with communication and business practices to best prepare the student to enter the workplace." Course highlights include Computer Graphics, Design Studies, Digital Illustration, Drawing Fundamentals, Graphic Design, and Web Design. Potential future opportunities for graduates of the program include Graphic/Digital Designer, Art Director, Web Designer, Interactive Exhibition Designer, Project Manager, and many others. A Minor in DART is also available. The BS in CGIM "deals with the major aspects of computer graphics: desk-top publishing, paint systems issues, computer-aided design, the Web, and two-and three-dimensional animation. It is supported by an exemplary laboratory with the very latest hardware and software technologies." Course highlights include Computer Graphics, Design Studies, Digital Illustration, Digital Imaging, Graphic Design I & II, Typography/Package Design, 2D/3D Animation, and Web Design. Both programs offer portfolio development and internship opportunities. Mount Mercy University (MMU) opened as Mount Mercy Junior College in 1928. The school, which became a four-year college in 1960, now serves more than 1,800 students enrolled in more than 45 undergraduate programs of study in eight academic departments and eight graduate programs. The Department of Communication, Literature & Arts offers a BA in Graphic Design and a Minor in Art and Design. Other program highlights include guest artists, seminars and workshops, as well as field trips to graphic design companies to interact with and view professionals at work, the opportunity to exhibit student work both off-campus and in the university’s Janalyn Hanson White Gallery and Paha Review, and participation in Art Club activities and other student clubs and campus experiences. Examples of off-campus exhibition opportunities include NewBo Art Fest, Marion Arts Festival, The Area College Exhibit at the Lowe Arts Center in Marion, New Bohemia’s 2x2 Exhibit, and Midwestern university print exhibits. MMU Graphic Design students also have the opportunity to combine studies in graphic design with a second major or minor, “honing” their “business acumen in marketing or communication,” or “web programming skills in computer science.” An internship is also part of the program. The Minor in Graphic Design consists of four courses. Students may choose to concentrate in Fine Arts or Graphic Design. Sample course options include Art Environments, Graphic Design, Photography, Printmaking, Typography and Design, Video on the Computer, and Web and Motion Graphics. Graduates of the Mount Mercy Graphic Design Program have found jobs at both national and local companies such as Apache Hose, Geonetric, Patient Education Institute, Raffalo Noel Levitz, and Stamats.